Renewable Nations is a Proud Partner to SEforALL, and a Commitment Partner to United Nations Sustainable Development Goal for Energy (#SDGAction13739). ECOS is recognized by the UNFCCC in support of Action for Climate Empowerment. ECOS is on a mission to optimize the potential for safe, just, and regenerative climate action through an integrated approach to fostering climate literacy, communicating relevant, time sensitive information, and inspiring action through outreach and messaging. 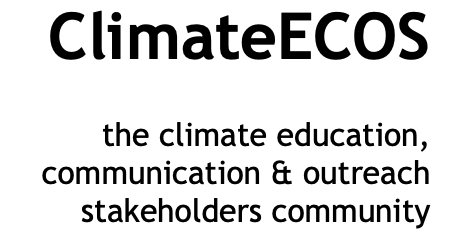 As part of the global effort to reduce the anthropogenic causes of climate change and to support multi-scale actions to minimize the harmful impacts of climate change through resilience and adaptation, the ECOS community advocates for (1) climate change education, (2) climate change communication, (3) climate change outreach, (4) climate change participation training, and (6) climate change engagement and empowerment. These purposes are connected with an aim to promote activities to increase and mobilize action. Awarded as an Administrative Grantee in Food Waste #FreeTheFood challenge established by the City of Los Angeles Department of Public Works (LA-DPW), the CENTER delivered public Dashboards for participating project grantees. In addition, the CENTER designs, captures, and and analyzes qualitative and quantitative metrics and benchmarks against roadmaps like the Sustainable City pLAn for Los Angeles and global Food Waste benchmarks like the Sustainable Food Index and Milan Food Paradoxes to improve beneficial program impacts.